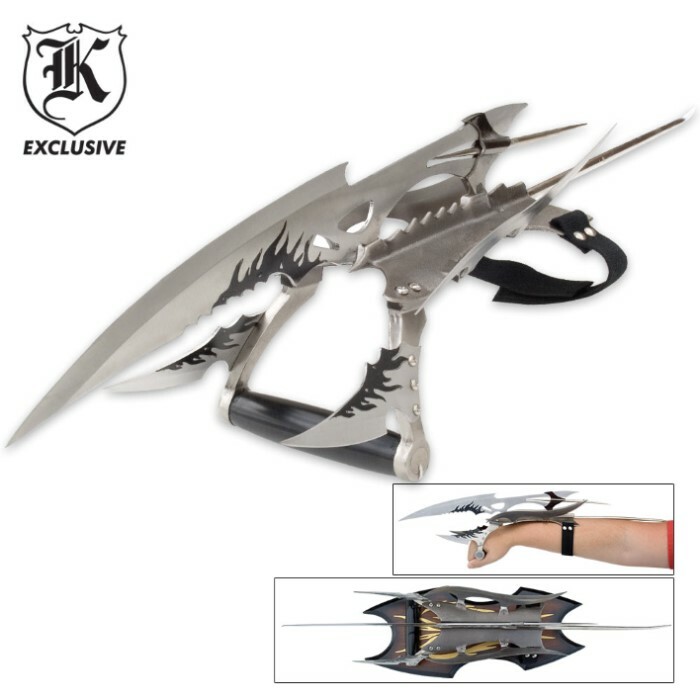 Fire Guardian | BUDK.com - Knives & Swords At The Lowest Prices! Never before have you seen anything so unique eye catching. Stretches an amazing 26" in length with piercing stainless steel fantasy blades and a captivating steel spiked tail. Equipped with hand grip and arm strap. Also includes wood plaque for display.